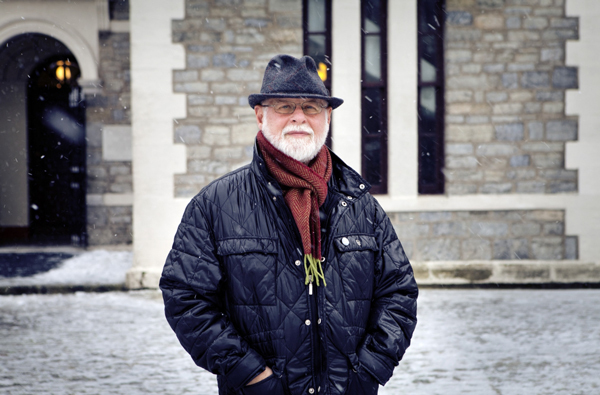 Alberto Manguel will come to McGill on March 12. On Thursday, March 12, at 6 p.m. in the Rare Books & Special Collections (McLennan Library Building – 4th floor), join McGill University Library & Archives and the Friends of the Library for this special talk featuring internationally acclaimed anthologist, essayist, author and scholar, Alberto Manguel. Mr. Manguel will be in conversation with Dr. Jillian Tomm, Assistant Head, Rare & Special Collections, McGill University Library and Archives. About Alberto Manguel: Alberto Manguel was born in Buenos Aires in 1948, and counts as a pivotal experience reading to the blind Jorge Luis Borges when Manguel was sixteen and working at the Pygmalion bookshop. Manguel is now a Canadian citizen and has contributed regularly to Canadian newspapers and the Canadian Broadcasting Corporation, as well as to the Times Literary Supplement, the New York Times and the Village Voice, and the Svenska Dagbladet. In 1992, Manguel’s novel, News from a Foreign Country Came, won the McKitterick Prize. Manguel was awarded a Guggenheim Fellowship and honorary doctorates from the universities of Liège, in Belgium and Anglia Ruskin in Cambridge, UK. He is a Commandeur de l’Ordre des Arts et des Lettres (France). Manguel spent the fall 2014 term at the McGill Library as Scholar in Residence and gave the keynote address at the “Meetings with Books: Raymond Klibansky, Special Collections and the Library in the 21st Century” full day symposium held at McGill in March of 2013. RSVP required. Email rsvp.libraries@mcgill.ca or call 514-398-5711.